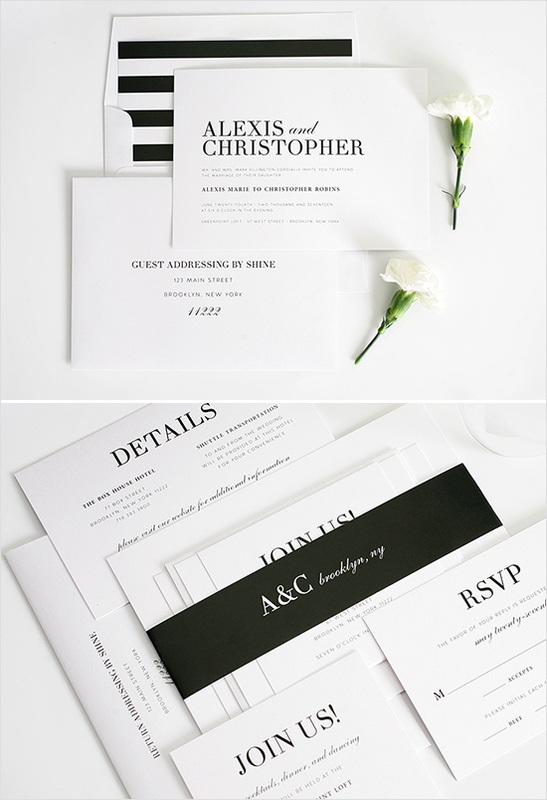 The date has been set, and it is now officially time to start your wedding invitation shopping. 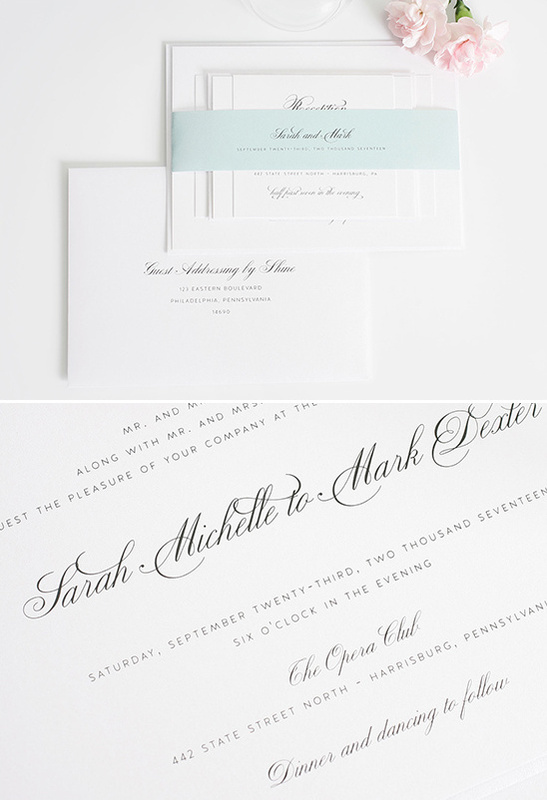 While you are perusing around for wedding invitations, you simply must check out Shine Wedding Invitations. We personally love their chic and elegant style that can easily go with any wedding theme. From an elegant ball room soiree to a rustic barn wedding, their designs will match beautifully with any event. 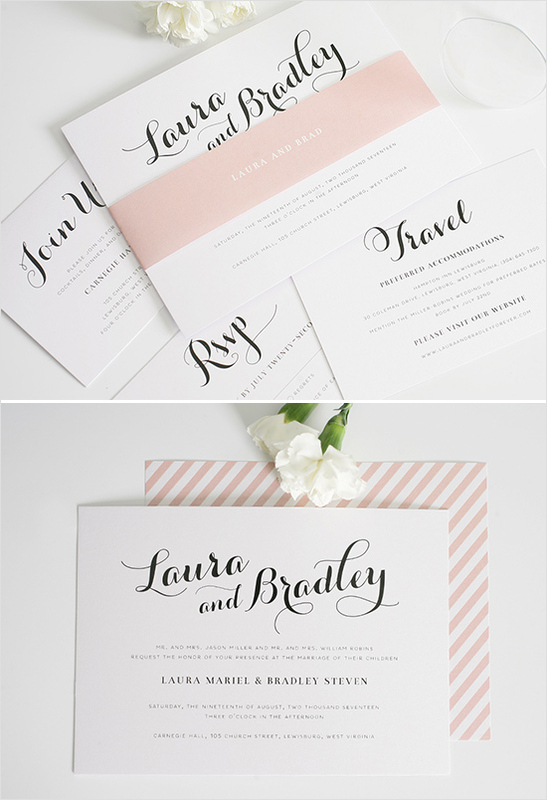 Fantastically enough, they just released their brand new 2015 Wedding Invitation Collection. It includes seventeen gorgeous new suites that are a must-see. To receive an even closer look, hop over and like their Facebook page for a FREE SAMPLE Set (value $8.50). 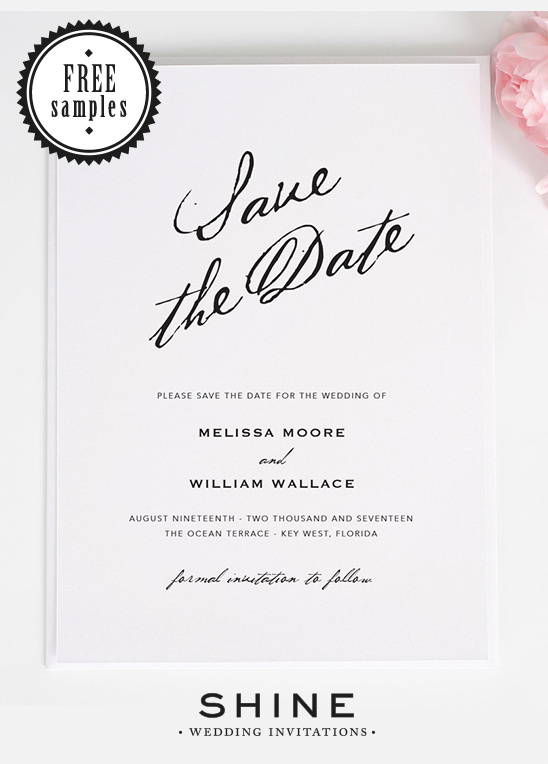 The sample set includes an invite of your choice, as well as a sample of their luxe papers and color charts. It's a great way to see the product up close and personal. 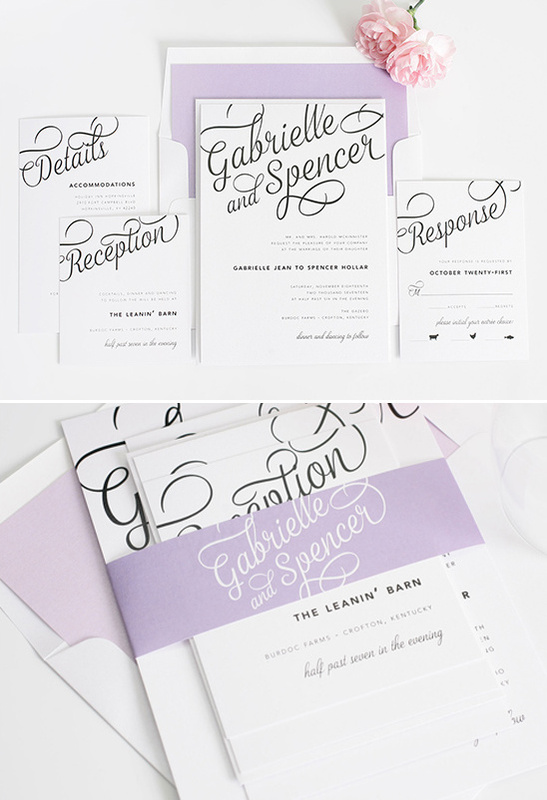 Another great way to personalize your wedding stationery is to use their belly bands and envelope liners. Available in all their color and pattern options. Before you leave, don't forget to like their Facebook page for that FREE SAMPLE! 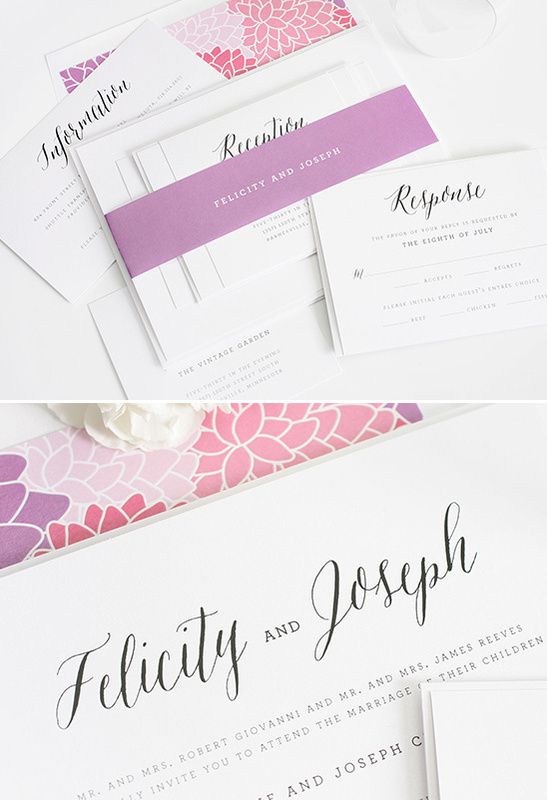 Why not test out your favorite invite and see what colors and paper types Shine Wedding Invitations has to offer? It's free!